In his biography The Art of the Deal, Trump lied about his grandfather's country of origin, stating it was Sweden instead of Germany. So if you think these people wouldn't lie about their ancestry, you need to explain that whopper. Create your family tree and invite relatives to share. Search 170 million profiles and discover new ancestors. Share photos, videos and more at Geni.com. .But it has nothing to say about this. It stops just short of the Anne MacLeod problem. 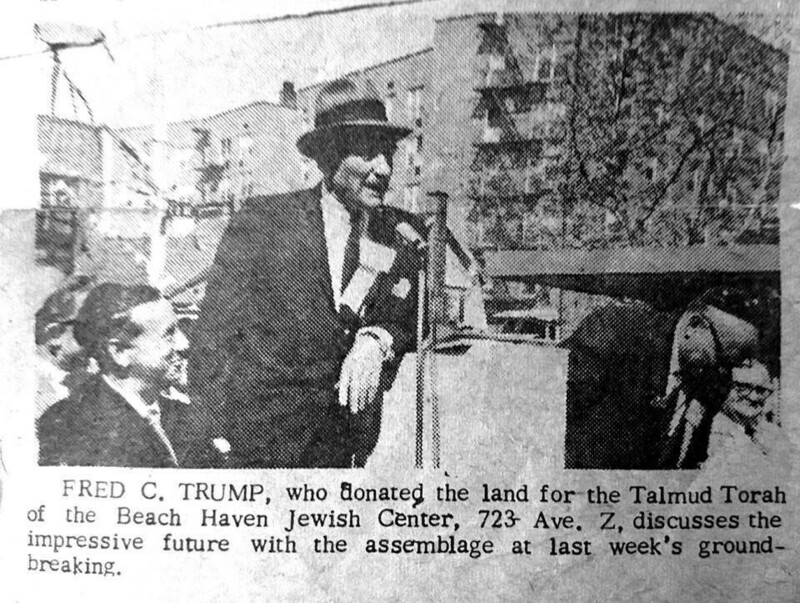 But it does tell us something interesting: both Trump's parents died at Long Island Jewish Medical Center. With more study, we find that Trump's aunt Elizabeth married William O. Walter. That name is also possibly Jewish. We find a William Walter as Director of Jewish Family Services in York, PA. Also a William Walter just buried at Jewish Memorial Chapel of Long Island. Also a William O. Walter marrying a Cora Neuhauser in Lebanon, PA, in 1924. That name is also probably Jewish. And most curiously, a William Walter, Esq. listed in the Jewish Missionary Intelligence of June, 1896. More research discovers his firm were the honorary stockbrokers of this London Jewish society in 1900. That is interesting because it directly ties to my previous paper on Friedrich Engels and Robert Owen. Owen's brother in-law was James Haldane Stewart, who worked for the Jews' Society in the 1830s and 40s, a precursor of this Jewish Missionary Intelligence. At any rate, this may be our William Walter or his father, given that date. His father is scrubbed at Geni. The names Walter and Walters were chosen by Jews entering the US, as a new name, as we see from Barbara Walters. Her father Louis Walters was original Louis Abrahams. Mr. Lindenbaum cultivated a scholar’s knowledge of the Zoning Resolution, the arcane document that governs development in New York. As a result, he was able to bend the resolution to his clients’ will without breaking it. And because his clients were major builders and landowners — among them Harry B. Helmsley, Harry Macklowe, Larry A. Silverstein, Jerry I. Speyer, Leonard Litwin, Steven Roth and Donald J. Trump; the Fishers and Tisches and Rudins and Roses. . .
Ivana is also Jewish. Geni.com lists her father's name as both Knavs and Zelnícek. I'll give you a hint: drop the second “e”. You get Zelnick. It is Yiddish for haberdasher. Clothier. It's Jewish, too. See Robert Zelnick, Strauss Zelnick, Bob Zelnick, etc. Robert was a fellow at the Hoover Institution, Stanford. Strauss was President of 20th Century Fox. Bob was ABC News producer. Also Friedrich Zelnik, silent film producer. Also David O. Selznick, whose name was originally Zeleznick, or, alternately, Zelnick. He and his father were major Hollywood producers. So he married a jew, that makes his children jews and his adult children have married jews, his aunt’s married jews, his great aunt’s married jews, yada, yada, yada.